The NLWC Coaching Staff, comprised of Cael Sanderson, Cody Sanderson, Casey Cunningham, Jake Varner, Mark McKnight, and Eric Thompson select and recruit elite athletes to live in Central Pennsylvania and train at the NLWC’s Olympic Regional Training Center where they practice in the Penn State Wrestling Room.This program is designed to provide the coaching, training environment, and financial support necessary for our athletes to compete for and win Olympic and World Championships.Over the past several seasons, the wrestlers in the Resident Athlete Program have enjoyed tremendous success on both national and international levels. The NLWC Resident Athlete Program had some outstanding performances during the past season (2017-18). In September, Matt Brown won a bronze medal at the World Military Championships. Josh Rodriguez and Riley Lefever both earned bronze medals at the U.S. U23 World Team Trials in October. During the month of November, Matt Brown won silver and Riley Lefever bronze at the Dave Schultz International Tournament. In December, Franklin Gomez and David Taylor joined the Titan Mercury Wrestling Club team and led them to a second place finish at the World Clubs Cup Championship in Iran. David Taylor become only the 12th U.S. wrestler in history to win a gold medal at the Yarygin Grand Prix Tournament in Russia in January. 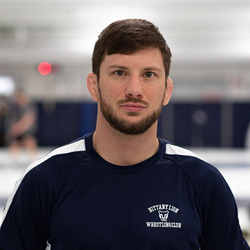 During the Month of February, Matt Brown won the U.S. Armed Forces Championship, and Franklin Gomez placed second, Riley Lefever placed third, and Josh Rodriguez placed fifth at the Outstanding Ukrainian Memorial Tournament in Kiev, Ukraine. Nico Megaludis also competed in Ukraine, and Ben Provisor finished in 8th at the Thor Masters Tournament in Denmark. In April, Franklin Gomez earned a bronze at the Bill Farrell International Tournament in New York while David Taylor went undefeated in leading the U.S. team to a World Cup Championship. 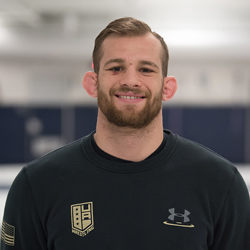 At the U.S. Open National Championships also in April, Ben Provisor and David Taylor both won gold medals while Jake Varner (competing for the first time after a long layoff) earned silver and Nico Megaludis bronze. A week later at the Pan American Championships in Lima, Peru, David Taylor won gold, Ben Provisor bronze in Greco and gold in Freestyle, and Mark Hall (not a NLWC Resident Athlete but representing the NLWC) also won a gold medal. At the World Team Trials Challenge Tournament in Rochester, MN, in May, Nico Megludis earned a silver and Jake Varner a bronze. Also in May, Collegians Brady Berge won gold, Nick Lee silver, and Jarod Verkleeren bronze while competing under the NLWC banner at the U.S. Junior World Team Trials. In May, Josh Rodriguez lost a close match to the U23 World Champion in the Beat the Streets dual in New York City. 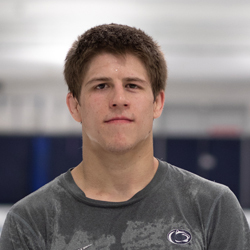 In June at the Final X, David Taylor won two consecutive matches in Penn State’s Rec Hall to claim a U.S. World Team spot while Ben Provisor and collegian Mason Manville earned runner-up finishes in the U.S. Greco World Team Trials. In July, Franklin Gomez won gold, Ben Provisor silver, and Josh Rodriguez bronze at the Canada Cup, in Guelph, Ontario. 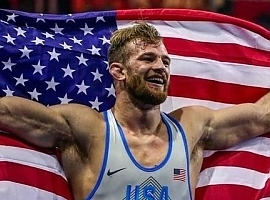 In the late summer, David Taylor pinned four straight opponents to capture gold at the Yassar Dogu International in Turkey. And in early fall of 2018, David Taylor became the NLWC’s first World Champion! To win the World Championships, David defeated a returning Olympic Gold medalist from Iran in his first match and in the tournament finals, he defeated an opponent from Turkey by a technical fall. David’s World Championship performance combined with his performance throughout the 2018 season led to his being named the UWW Best Freestyle Wrestler of the year for 2018! The 2018-19 season is underway, the Club’s Resident Athletes will again be competing at a variety of national and international tournaments and training camps. The Club will keep all of its members and sponsors updated on these competitions via twitter, e-mail updates, and mailed newsletters. The NLWC currently has 8 athletes on the roster to train at the Club’s Regional Training Center and to compete for the Club during the 2018-19 Season. Josh is from Guadalupe, California where he competed at Righetti H.S. In college, he attended North Dakota State University where he was a 3X NCAA qualifier, placed high or won numerous top collegiate tournaments, and defeated many of the top 125 lb. wrestlers in the country. Josh joined the R.A. program in late summer, 2017. During his first season with the NLWC, Josh earned a bronze medal at the U23 World Team Trials, placed 5th at the Outstanding Ukrainian Tournament in Kiev, and earned a bronze at the Canada Cup. Josh has been a tremendous addition to the NLWC Resident Athlete roster. He is a tough competitor, an extremely hard worker, and an outstanding training partner at the Regional Training Center practices, and is rapidly improving at freestyle. 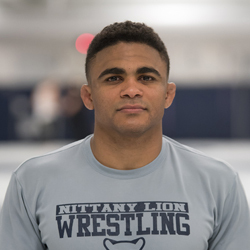 A 2X All-American and a fan favorite for his attitude and conditioning while competing for Penn State, Jordan joined the NLWC Resident Athlete Program in the summer of 2016. Jordan’s outstanding technique and work ethic make him an excellent training partner at the Club’s Regional Training Center practices, and he is a tremendous asset for all of the lightweights who work out with him. Jordan is also a fine representative of the Club! Zain joined the R.A. Program in April, 2018, after completing one of the finest careers ever for a collegiate wrestler. Zain was a 3X NCAA Champion who finished his career with 94 straight wins. He also won two Hodge Trophies as the nation’s most dominant wrestler. And won the NCAA Most Dominant Award three straight years. In March 2019, Zain went undefeated at the World Cup tournament in Russia and lead the U.S. team to a bronze medal. Zain has goals of winning Olympic and World Titles, and the NLWC is very excited to have Zain as part of the Club’s Resident Athlete Program. A ferocious competitor on the wrestling mat, Zain is a gentleman off of the mat. He has every quality that the Coaches look for in the Club’s Resident Athletes. A NCAA Champion and All-American for Michigan State, Franklin has been with the Resident Athlete Program for many years. Representing his native Puerto Rico, Franklin earned a silver medal at the 2011 World Championships, was a 2012 Olympian, competed at the 2013 and 2014 World Championships, and also competed at the 2016 Olympic Games in Rio. Franklin has won or placed high in numerous international tournaments along the way, most recently winning a gold medal at the Canada Cup. Franklin is simply a tremendous wrestler, an excellent workout partner in the Club’s Regional Training Center practices, and is a class act both on and off of the mat. Originally from Wisconsin, Ben is a top U.S. Greco-Roman wrestler who joined the R.A. program in Oct., 2017. He is a former 2X U.S. Open National Champion and a Pan American Champion who was also a 2012 and 2016 U.S. Olympian. Ben has had a great first year in the Club’s R.A. program, winning gold at the U.S. Open and the Pan American Games (up a weight class and competing in freestyle to help team U.S.A. no less). In 2018, Ben finished 2nd in the Greco-Roman world team trials and followed that with a silver at the Canada Cup. Ben is a tough and rugged competitor who is committed to being the best and as one of the top Greco wrestlers in the United States brings a different knowledge base and techniques to the Club’s Regional Training Center practices. Ben has been a welcome addition to the NLWC R.A. Program. 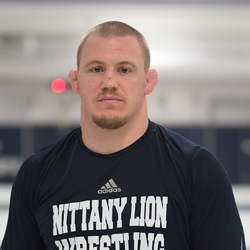 David had an outstanding college career at Penn State where he was a 4X All-American, a 2X NCAA Champion, and a 2X Hodge Award winner, recognized as the most dominant wrestler in the country. Four years ago, he had an excellent season in his first full year of freestyle, winning several international tournaments and the U.S. Open National Championship, and finishing 3rd in the 2015 World Team Trials. In 2016, he made the jump from 163 lbs. to 189 lbs., and continued having success, finishing 3rd in the U.S. Olympic Trials. In 2017, David won his weight and the OW award the U.S. Open National Championships. During the 2018 season, David was virtually unstoppable in every competition he entered, including a gold medal at the Yarygin Grand Prix, considered the “toughest” freestyle tournament in the world. To conclude his 2018 campaign, David won a World Championships in Budapest, Hungary, and was voted by UWW as the outstanding freestyle wrestler in the world for 2018. Riley joined the Resident Athlete Program in early summer, 2017, after graduating from Wabash College in Indiana. Riley finished his collegiate career with an outstanding career record of 158-6 and was a 4X Division III National Champion (only the 2nd wrestler to ever accomplish this feat) while twice winning the OW award at the National Tournament. Riley had an outstanding first season with the NLWC, earning a bronze medal at the U23 World Team Trials, a bronze at the Dave Schultz International, and a bronze at the Outstanding Ukrainian Tournament. Riley suffered an injury early in 2018 and was unable to compete the U.S. Open and World Team Trials. He has since fully recovered and will be competing in 2019. Riley has an excellent attitude and work ethic and is an outstanding representative of the Club. The coaches of the Club’s Regional Olympic Training Center and Resident Athlete Program are so well known that they really need no introduction. 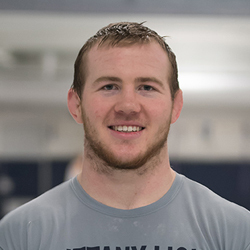 In addition to their tremendous success as collegiate coaches leading the Penn State Wrestling team to numerous NCAA Championships, Casey Cunningham, Cody Sanderson, and Cael Sanderson have at the same time been very successful at leading the NLWC Resident Athlete Program and the Club’s Regional Training Center. 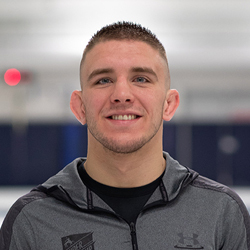 They were joined a few years ago by former Resident Athlete, Jake Varner, who was a 4X NCAA finalist, 2X NCAA Champion, 2011 World Bronze Medalist, and 2012 Olympic Gold Medalist. More recently, Mark McKnight and Eric Thompson transitioned to the Club’s coaching staff. 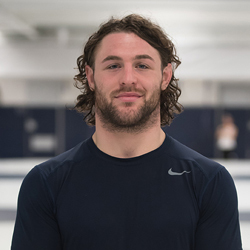 Mark is a former All-American at Penn State who reached the 2012 Olympic Trial semi-finals and was a 2013 Pan American gold medalist. 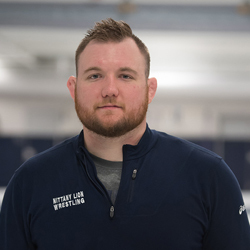 Eric was an NAIA National Champion and a former coach at Lock Haven University and was also one of the top heavyweight wrestlers in the U.S. for many years. Both Mark and Eric also assist with many other Club functions including the scholastic programs, the golf tournament, clinics, and wrestling tournaments. Knowledgeable, disciplined, and extremely hard-working, these coaches set the example for the work ethic, training habits, and lifestyle necessary to win against the best in the world. Their leadership has been instrumental in the success of the NLWC wrestlers! Monday - Friday 2:00 p.m.
*Depending upon competition schedules, the days and times of practices may be adjusted. 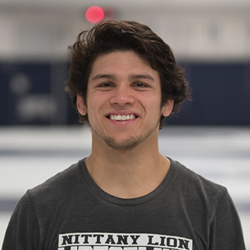 A former resident athlete, Jake joined the NLWC coaching staff in 2016 and also became the Volunteer Coach for Penn State. Jake also serves as a Director on the NLWC Club's staff and performs many other duties for the Club. Jake was a 4x NCAA Finalist, 2x Champion, 2011 World Bronze medalist and won an Olympic Gold medal at the 2012 Olympic Games. A former Resident Athlete, Eric is a 3 time NAIA National Champion at Grand View University, and was one of the top heavyweights in the U.S. during his time as a training athlete, and a 3 time Senior level All American. Eric performs many different duties for the club and successes of the Clubs wrestlers. A former All-American for Penn State, Mark reached the 2012 Olympic Trial semi-finals at 57 kg/125.5 lbs. before dropping a close decision to the eventual champion. In 2013, Mark won a Pan American Games Gold Medal and placed 4th at the U.S. Open. Mark has gradually transitioned into a coach for the Club’s Regional Training Center. In addition, Mark has directed the NLWC scholastic programs, and his leadership has led these programs to new heights. Mark has also assisted with many other Club functions including the golf tournament, clinic, and tournament.